There are so many amazing new ways students can share what they've learned and create incredible projects, videos, websites, and presentations to show what they've learned. This is a quick list of 5 I've used this year that my students and I really liked. I won't go into too much detail about each product, this more of a whirlwind tour then an in-depth tutorial. Enjoy! If you live anywhere on social media, even if you spent like 5 seconds on twitter this year, you probably already know about this one. It's not my favorite (and to be honest, my students don't LOVE it) but it has a ton of potential and has some really amazing features. How It Works: Students record up to 5 minute long videos reacting to a prompt. Students can comment and react to each other (but those features can be turned off) feels like instagram of videos but is self contained (you control who has access to the grid and can post.). What I like about it: It feels like secured Snapchat and you can actually use snapchat to create your videos and then download to your phone and upload to the app. Students have an audience of their peers and grids can be shared with parents or the community to gain a larger audience for student work. How it works: Free website builder that allows students to embed Google Drive files, PDFs, images, and videos. Totally customizable! What I like about it: EVERYTHING! 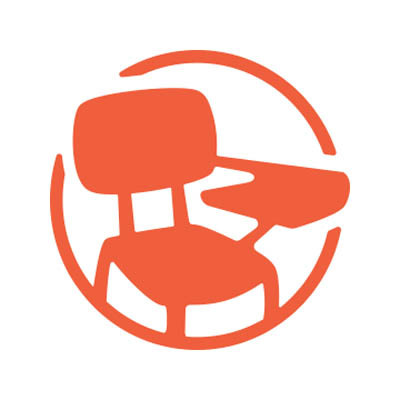 Students can created engaging and easy to manage digital portfolios. I LOVE that students can post google docs directly to their site and create endless pages of their work. It is easy to learn and navigate and the audience can be limitless with this website maker. How it works: Free video creating software BUT it works more like Powerpoint than iMovie. It is more about adding pictures and slides and then adding narration over them. GREAT for students taking pictures of their work and then explaining that work! Students can also upload short video clips as well. What I like about it: This is another one where I love just about everything about it. There is a free app students can get on their phones and it allows students to blend their voice with text and pictures in a simple but often times elegant way. How it works: Think if it as digital post it notes but 1000 times more awesome. Students can share videos, links, documents they have created, and images to one easy to share webpage. Students can create these pages collaboratively or on their own. What I like about it: I actually like Padlet more for the research and planning stage then as a way to show a final product. It works really well to have students turn in assignments on a padlet and then give each other feedback. How it works: Works just like Powerpoint except you don't need to download anything. The embedded tools for videos and links are more seamless and more powerful.. It is also easier for multiple students to work on a Google Slide at one time using the Sharing feature. What I like about it: This is another one where I struggle to tell you what I like because I like everything. Embed gifs, youtube videos, make digital posters, create choose your own adventure activities, hyperdocs, or just create a good old fashioned presentation deck that you can literally share with the click of a button. While Microsoft has OneDrive, it does not compare to the immediate sharing features available on google products. OH! I almost forget, Google Slides is also amazing for collaboration! When multiple students work on one deck you can see the edits in real time! 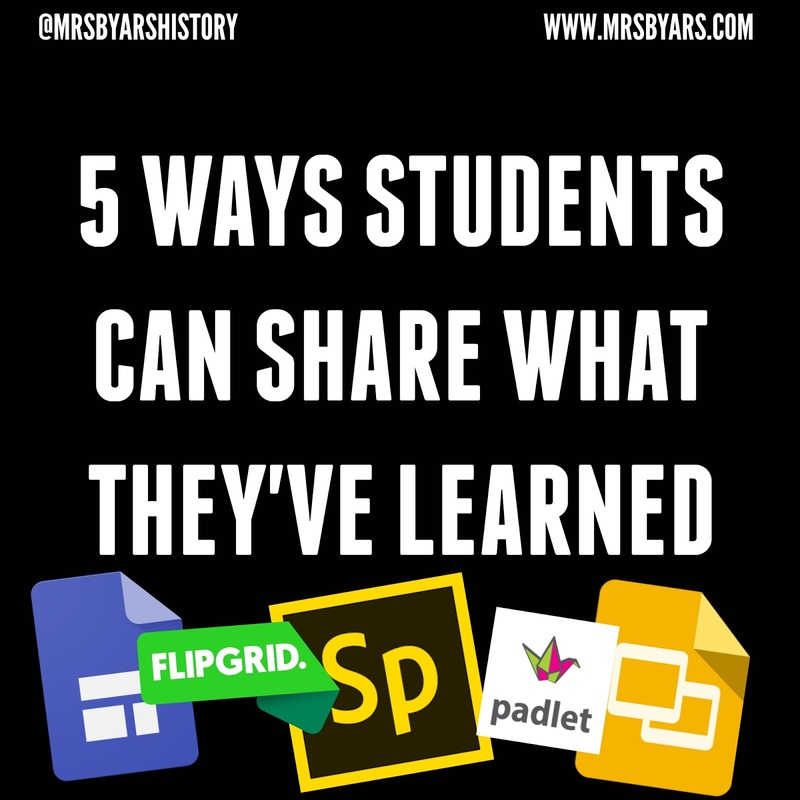 There are more amazing tools out there to get students sharing and even with the tools listed above but hopefully you found some new ideas or were reminded of a tool you used before. 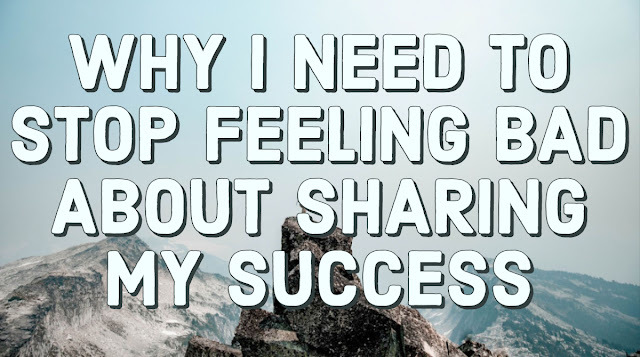 Now, I want to hear from you, what are your favorite ways for students to share what they've learned. Let me know in the comments! 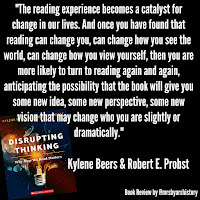 This book changed how I approach reading in my classroom and the results were amazing. I want students to be active in their reading, I love when students annotate and write in the margins while reading, but I was having trouble turning readings into engaging discussions that were student led. That changed when I read this book. 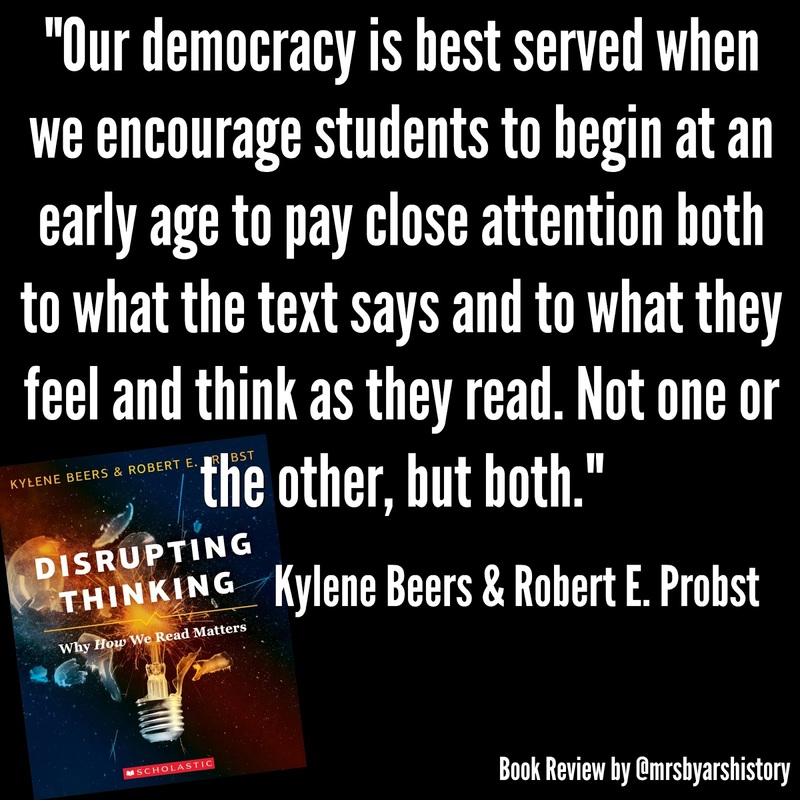 This book makes a compelling case for why we need to change how we approach reading in our classrooms in order to save democracy. That might sound cheesy or too bold of a stand for an education book to make but when I tried the practices in this book, I don't think they are too far off from their goal. 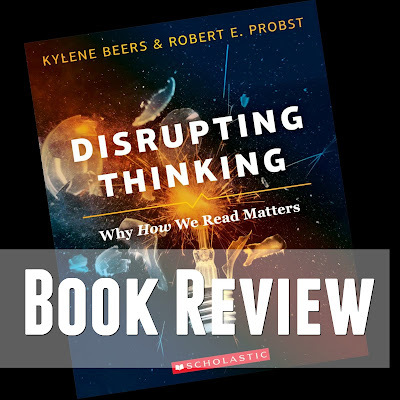 The framework and practices in this book encourage students to talk about what the text says, what the text makes them think, and how the text makes them feel. This might sound too obvious or simple but often in classrooms we aren't asking students to do all three and we aren't giving time for students to talk about all three. I know I was guilty of that prior to reading this book. 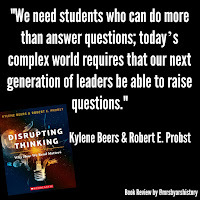 Discussion and debate are a huge part of my class but there had always been a purely content focused goal and because of that, I was missing out on hearing what students really felt or thought, they were looking for the answer I wanted to hear. 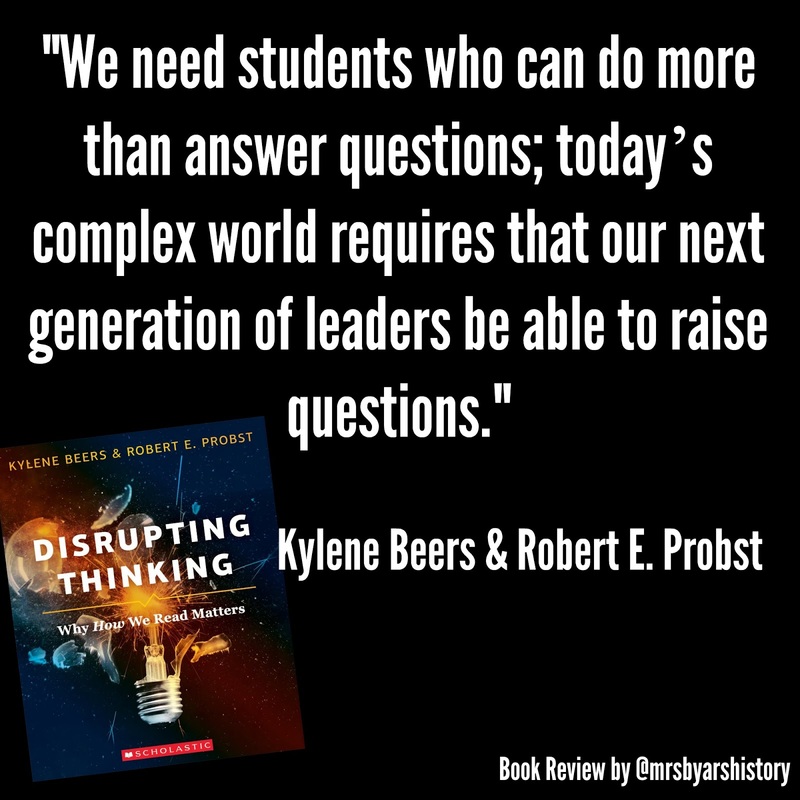 This book also creates a framework to use in your classroom to encourage students to change their minds or at least remain open to the idea that they have more to learn and that their opinions might be wrong. 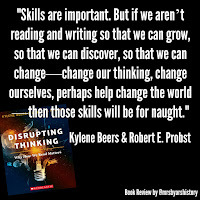 After reading this book, I used the strategies as a regular daily opener. Students read a short Newsela article related to the content we were studying and I asked them to use the strategies presented in the book. Discussion and conversations immediately became deeper and more meaningful. When I asked students at the end of the semester survey what three activities they enjoyed the most in class, an overwhelming amount of students mentioned discussions based on readings. 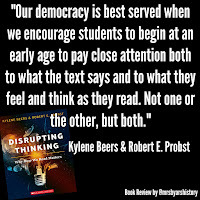 When I asked them when they felt they learned the most, again an overwhelming amount of students mentioned discussions based on readings. This was one of my favorite reads for 2017. 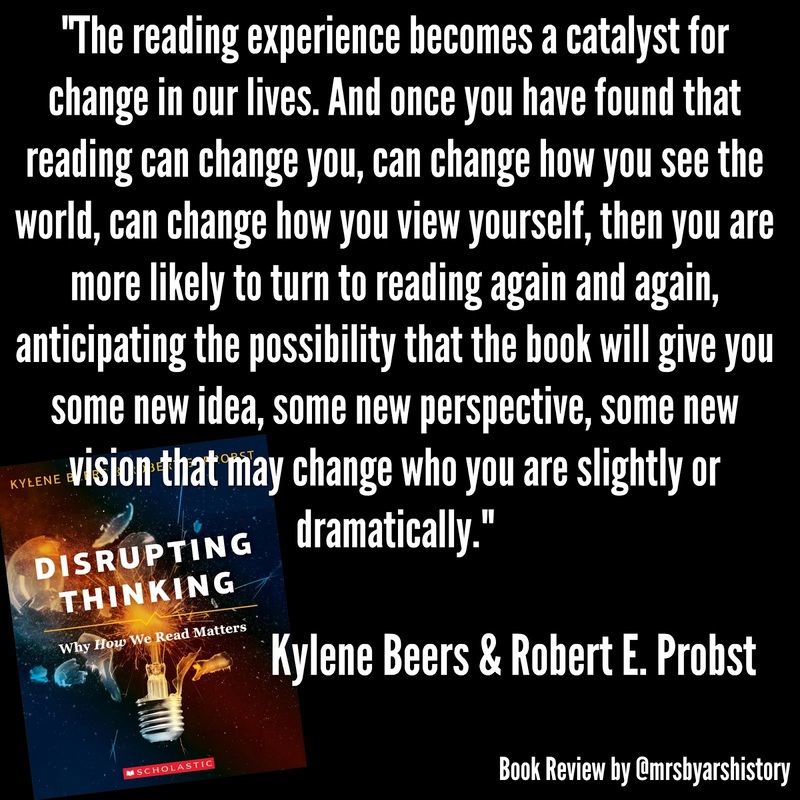 The strategies can be added to any content and you will immediately see a difference as more students engage with reading in meaningful ways. "How Is It December?" or "When You Don't Have Something Nice To Say..." or "How Year Four of Teaching Came to Be My Best Year Yet"
I've done a terrible job with my goal of regularly blogging this year. Part of that is because this year has had some real low points for me and I did not want to fill this space with negativity. There are a lot of scary statistics out there about the attrition rate in the first five years of teaching. Since I started, every year has had moments where I felt like I wasn't going to make it but this year was particularly hard because the things that made me feel like I wasn't going to make it through to year 5 had nothing to do with work load or students or parents, it had to do with a small handful of other educators. There is a book out there called Escaping the School Leaders Dunk Tank, I started reading it earlier this year thinking it would help me with the challenges I was facing but it just made me more angry. It makes me angry that so few negative voices can have such an impact on school culture. It makes me angry that this is so much the norm in education that an entire book had to be written about it. It upsets me, makes me angry, and breaks my heart that a handful of teachers out there view teaching as a competition with winners and losers instead of seeing it as a team effort to help all our student succeed. Often times these few voices are the loudest and because of that they create a culture that must be actively fought. So why write this now? Why after months of not writing because it was all too negative to post am I airing my grievances like this blog is celebrating Festivus?! Because for all the lows this year had, for all the moments I felt like maybe I wasn't cut out for this, 2017 has turned out to be my best year yet and that is something worth writing about. I have had multiple meetings with administrators this year where I have walked in feeling like I couldn't do this anymore and walked out feeling ready to change the world. 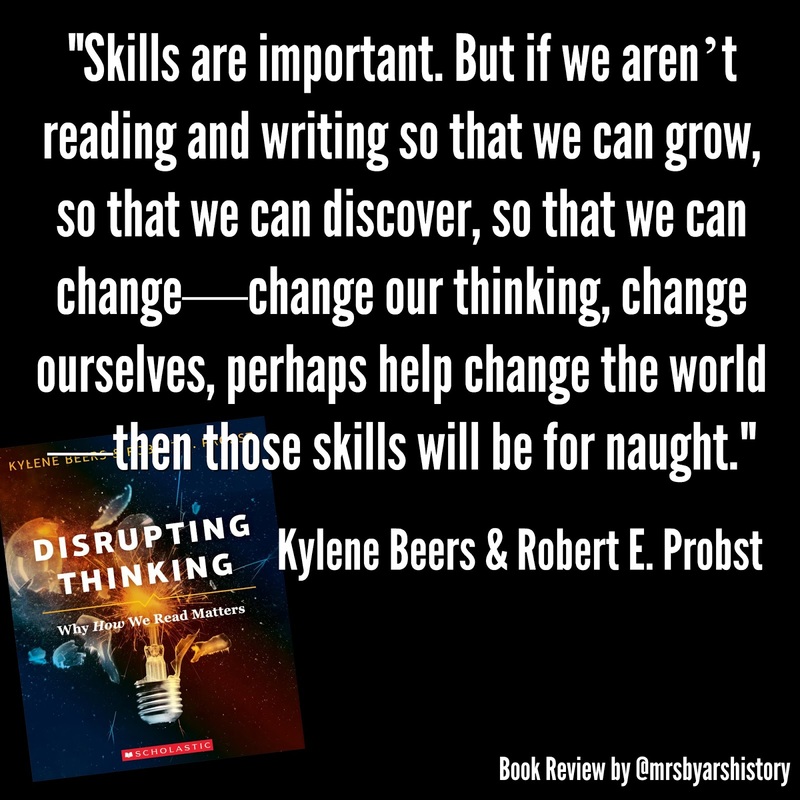 I took a leap with changing grading practices in my classroom and now I know my students better than I ever have before and I am immensely grateful for that. I got the chance to work with our BYOD committee and regularly meet and plan how to make our classrooms more innovative. I've had the chance to work with a long-term sub in our history department who has so much drive, energy, and passion that she makes me want to put even more passion and energy into my own teaching. I have sat in STEM collaboration meetings where a team is working to create a PBL based academy from the ground up and I have learned so much from it. In those same meetings, our administration has given us the resources we need while also letting teachers drive the direction of the academy. I have had the chance to share my passions as a speaker at district PD day, something I never would have done on my own. I have the opportunity to attend CUE for the first time ever in 2018 because our school leadership values innovation. When I was honest about where I felt my strengths were as an educator (even though that meant letting a few people down) I've was met with nothing but support and love. And most importantly, I am continually inspired by the hard work, drive, passion, and dedication of so many of the teachers at our school. They are the ones you think of when you think of your ideal teacher: greeting students at the door with a smile, believing in our students when no one else can, giving hours before and after school to help our students succeed. I didn't really know what to name this post so I gave it three ridiculous names. I plan to be a little better at this blog thing in 2018. I know the negatives aren't going away but I am hoping I've learned to better manage their impact on my own classroom. I am hoping I can find ways to push past it and rise above it because it is silly to let one or two voices bring you down especially when I am so lucky to work at a school and district that as amazing as this one. So here is to 2017, a year where I struggled a lot but have learned so much. That seems to be how it always is though, the hardest struggles teach us the most.